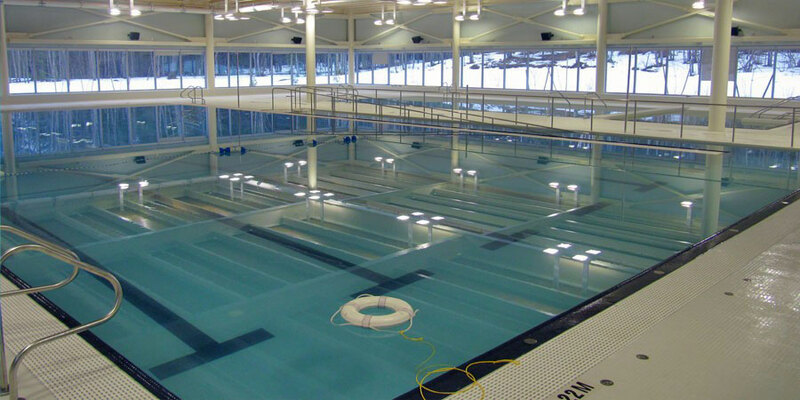 The LCLC's BMO Financial Group Aquatic Centre is home to a 25m, 6-lane competitive pool with diving board, a shallow leisure pool 2.5-4.0ft deep that is great for kids, and a small therapeutic pool. The competitive pool contains both an accessible ramp and a pool lift. A wide range of activities and classes are planned for the Aquatic Centre. Open swims of many types and member's only swims are being offered and a number of lessons, courses and clubs will be available to meet a variety of age-levels, skills and interests.